Although spring is finally here the weather doesn’t exactly reflect it here in Barrie as much as I’m used to but, I am determined to make it a little more spring around here. One of my all-time favourite ice cream flavours is Bubble Gum. 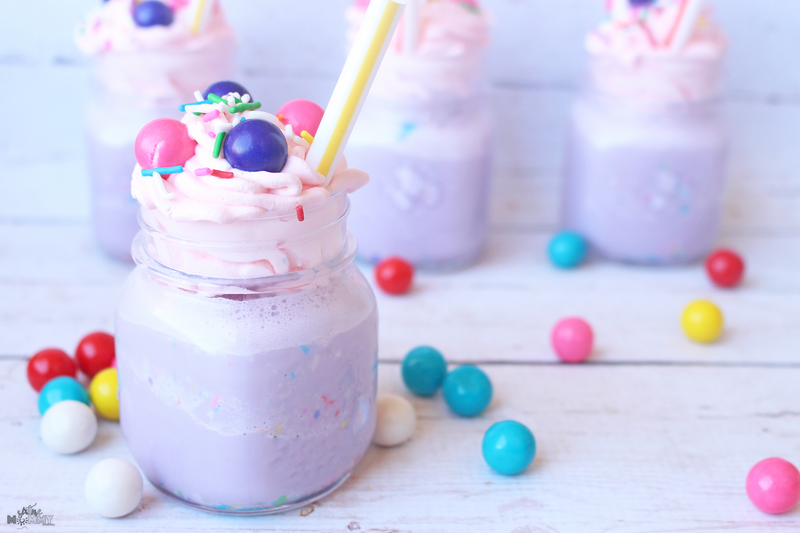 We did this delicious recipe for Easter Egg Bubble Gum ice cream but decided to try something a little different for these mini milkshakes. 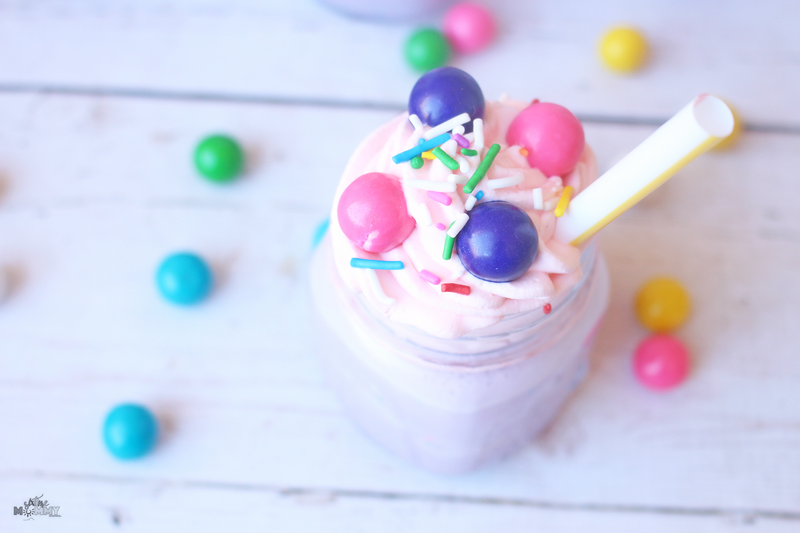 While we still made homemade bubble gum ice cream – we ordered this delicious bubble gum flavouring, and what a difference it truly made! 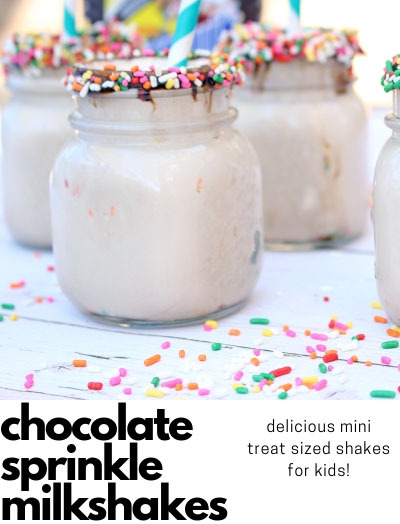 Combine your ice cream, sprinkles and milk in your blender and mix until thick and creamy. Pour your shake into your cup. Using a stand or hand mixer, beat your heavy cream until stiff peaks form. Add your sugar and mix on med/ high for another minute. Put your whipped cream into a piping bag with a star tip and dress up your shake. 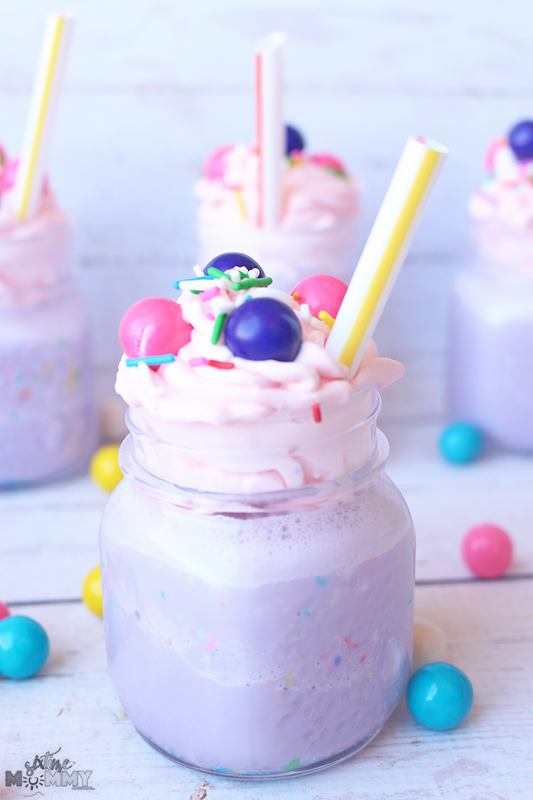 These mini milkshakes are perfect for kids or for adults to indulge without all the guilt. They are delicious and the bubblegum flavour is second to none. Last summer I would go to the ice creamery near our house and buy tubs of their bubble gum ice cream which were $12. They were ultra delicious but full of who knows what, and this? Is much easier to make and costs way less. I’ll be sticking to homemade ice cream this spring and summer and will happily allow my kids to indulge too because I know what’s in it. 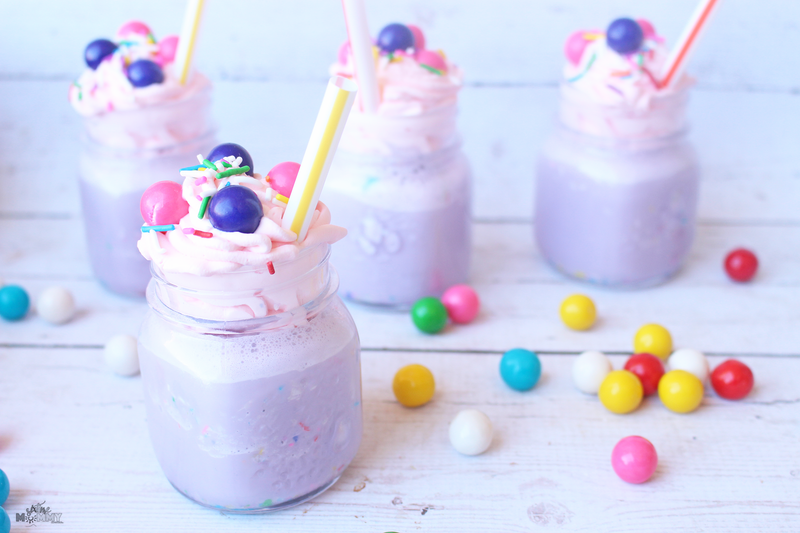 Making them into milkshakes is so simple, it’s an easy delicious treat for all. My kids love when we serve them anything in a mini mason jar too, so I was sure to make sure that’s what I used for this recipe – not only that but smaller portions are key when it comes to indulging in these delicious recipes. I know my kids would drink gallons of this stuff if I let them so I’d rather serve them in smaller portions and not only keep some ice cream for later but also save their tummies some aches. 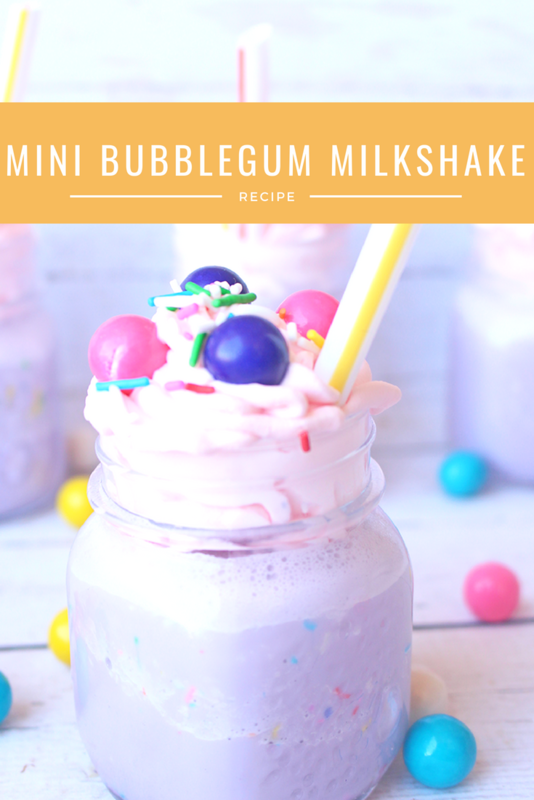 If you are looking for a delicious, bubble treat this is the one for you! 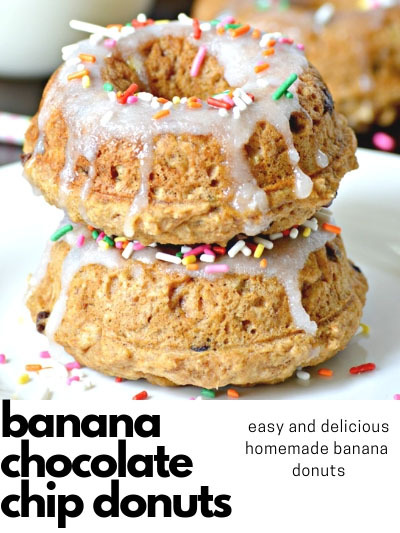 It’s so good, I cannot wait to make these more over the summer! Like this recipe? PIN for later! 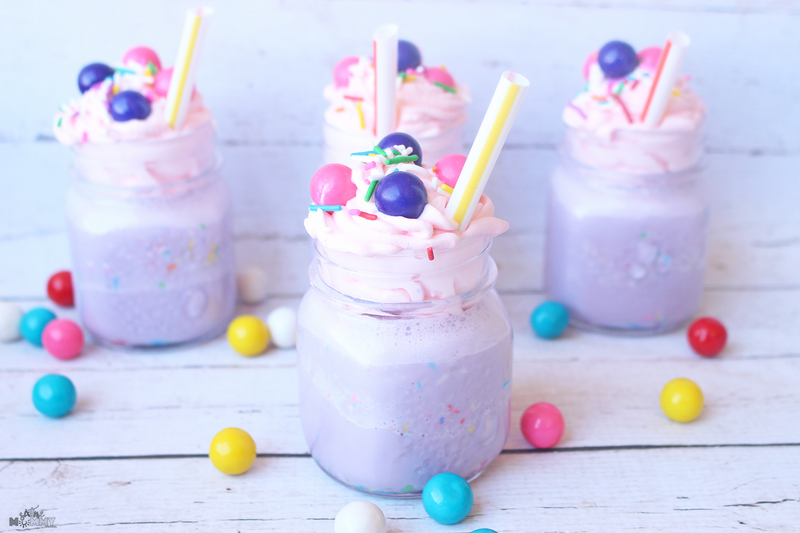 TRY THESE FAVORITE SPRING TREATS! Six Time Mommy is a family and lifestyle blog located in Ontario, Canada. Blogging all things kids and baby with tips, recipes and crafts for the whole family.